Home / Is it Wise to Gift Plastic Surgery? Is it Wise to Gift Plastic Surgery? Ours is a culture where we enjoy gift-giving. Parents to children, couples to one another, even just friends to friends. While most are small, sometimes they are large; the question of plastic surgery as a gift seems fraught with problems. Why is that? Are there legitimate problems with giving it away as a gift? 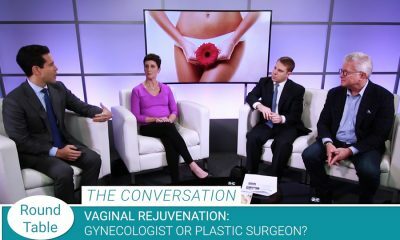 Board certified plastic surgeons discuss on the latest PSC Round Table. Perhaps the most unsettling idea of gifting plastic surgery is when it involves children. There are numerous anecdotes of gifting a breast augmentation to a graduating senior, or maybe even a nose job. Regarding the latter, a rhinoplasty surgeon once mentioned that within his ethnic culture, it’s the norm for girls to receive a rhinoplasty, or nose job, when their nose had stopped growing. The key with any gifting of plastic surgery must be that they want it themselves. This difference may seem slight, but is incredibly important in a psychological sense – an arena that is overtly linked with plastic surgery. Imagine a mother deciding to gift her daughter a breast augmentation following graduation from college. The difference between the daughter desiring the procedure and the mother imposing the idea is drastic, with the latter potentially opening a Pandora’s Box of psychological issues. This point cannot be overstated as plastic surgery, unlike commonly described in the media, is personally gratifying for reasons far beyond the rather simple idea of wanting to look younger. Self-esteem boosts from procedures that correct issues – congential breast deformities, gynecomastia (male breasts), and stretched abdominal muscles following pregnancies – can turn a life upside down in a positive way. Such positive thoughts help the mind to push optimism and positivity into other areas or perceptions of life, greatly aiding in overall well-being. If an individual is gifted plastic surgery, that could be a great thing. It might be the answer to long-held frustration or a physical drawback that would provide positive relief on the other side. A further issue with gifting plastic surgery, or, more specifically, a plastic surgery procedure, is whether or not the individual is a candidate. Candidacy for procedures is extremely important for achieving long-lasting and natural results. The desire for plastic surgery and the process from initial interest to completion of results is a long road. Patients who really want the procedures will help sow what they will later reap, making the final results even more important to them personally. Whether or not they pay for it themselves may or may not be an issue, so long as they want it. “Plastic surgery in general, if you’re doing it for the right reasons, it’s the gift that keeps on giving.” concludes Dr. Gingrass. Breast Augmentation with Fat Grafting, Is It Realistic?